The Valentine Resort & Hotel offers a sprawling area of 4 acres of pure and aesthetic beauty. 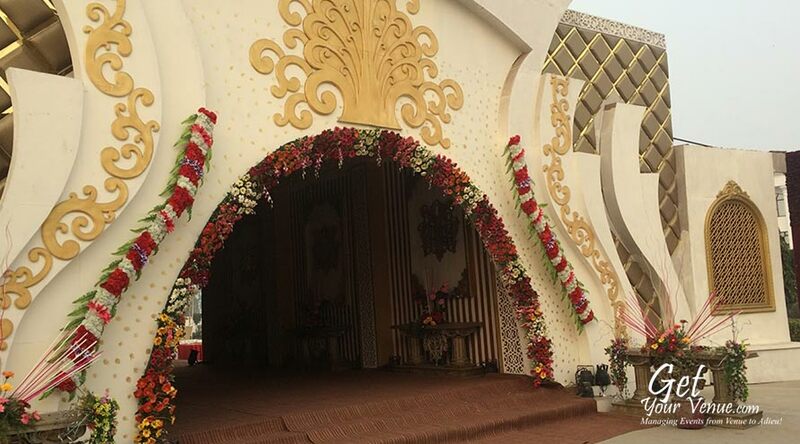 Located on the GT Karnal Road, this wedding venue in Delhi offers a peaceful and calm ambiance outside the city's noise and hustle though at a modest distance. Situated just 10 minutes away from Madhuban Chowk on NH1, the place is easily accessible from many NCR regions. 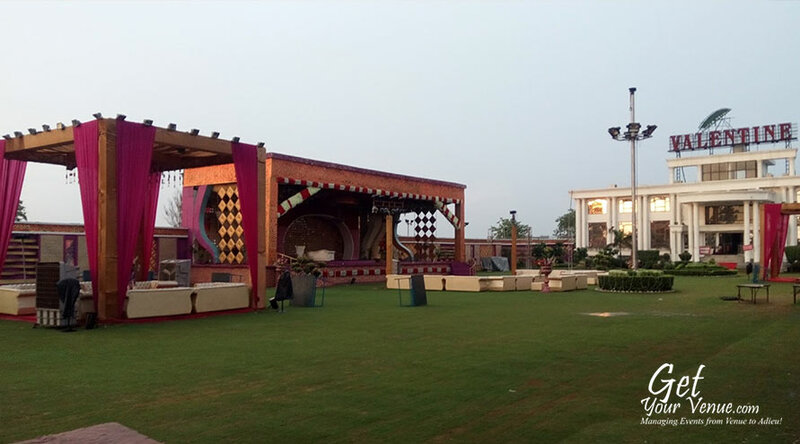 The resort has an all-inclusive facility that includes unique outdoor setting, state-of-the-art accommodations, world-class infrastructure, exquisite dining service, centrally air-conditioned halls, luxurious and comfortable rooms, ample parking space as well as a beautiful garden that trounces all other banquet halls in North Delhi. The venue has a professional event staff that desires to provide first class service and delivers a level of performance that exceeds the expectations of its guests. Rest assured, the Valentine Resort & Hotel is the perfect place to tie the knot and begin a journey full of bliss and splendor. 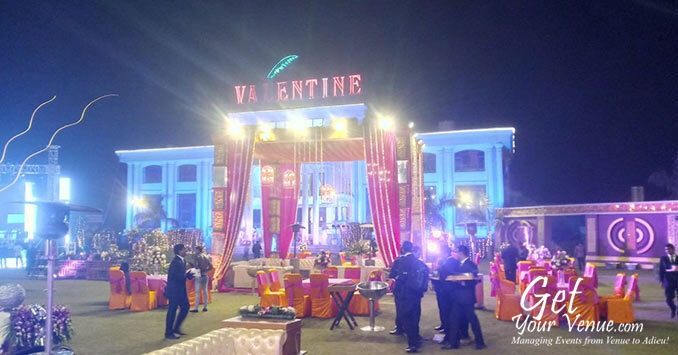 Whether it’s the lighting, seating, carpeting, decoration or theme work, every element at the Valentine Resort & Hotel has been given complete attention. 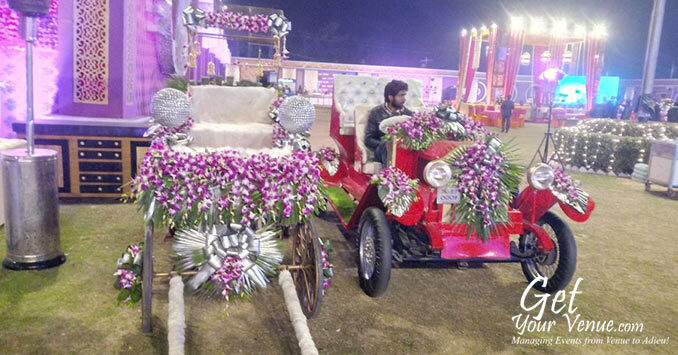 A lavish venue for weddings in North Delhi, here you can host all kinds of social and cultural events, be it birthdays or wedding-related functions like Sagan, Mehendi, Sangeet, engagement, cocktail, etc. It offers the following outdoor banquet space. 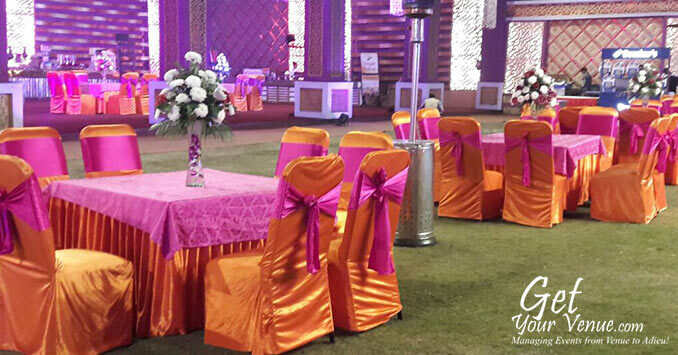 Lawn – This is a beautiful, spacious and elegant full-service event facility that is appropriate for any wedding-related event. It provides the best 360-degree views of any banquet facility anywhere. 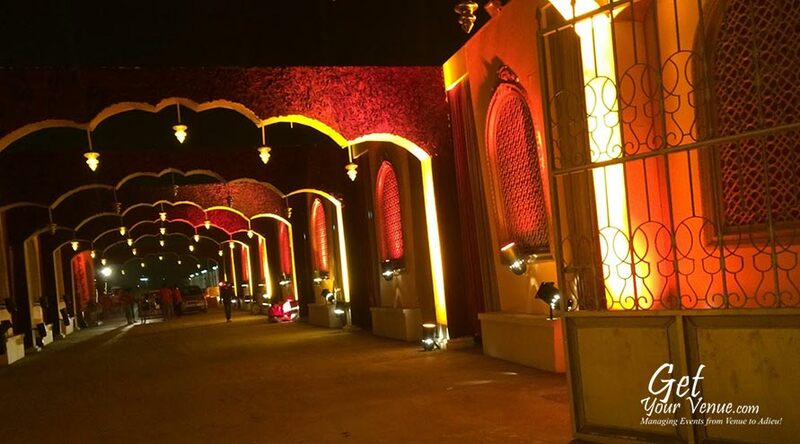 This elegant wedding lawn in North Delhi is 41,000 sq ft large and can accommodate 650 to 1,000 guests. To book the Valentine Resort & Hotel, please dial 8800093444.